Get great deals on service carts and utility carts today! Perfect for use in your home, office, garage or job site, sturdy service carts are ready to help store or transport objects. 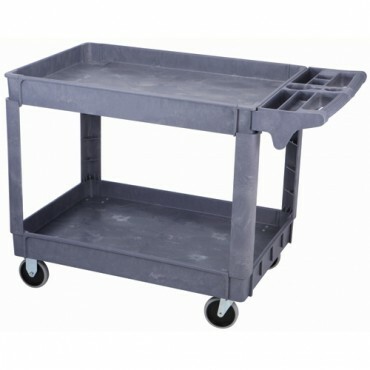 Store books, tools or anything else on these heavy-duty industrial or lightweight multi-purpose utility carts. They serve a number of purposes such as moving larger objects from place to place and providing mobility in a home or classroom. No matter what type of service cart or utility cart you need, you’ll be able to find quality carts that are made to last, all at amazingly low discounted prices when you shop KVM.